It is easier than ever for mesothelioma patients and caregivers to learn about the disease and its treatment options. As soon as researchers publish a scientific discovery, all kinds of websites cover the news — often with eye-catching headlines and an uplifting tone. In many cases, even the academic sources put a positive spin on their findings so they can attract more attention. Is this really about mesothelioma? Were there any real patients involved? How much did this actually help people? The word “cancer” refers to more than 200 different diseases. There is no single cause of cancer, and there is no one treatment that works on all types of cancer. I read about interesting discoveries in cancer science every day, but only a small fraction of that information is useful for people facing mesothelioma. It’s tough because mesothelioma is so rare. Most cancer researchers focus on more common diseases such as breast cancer or prostate cancer. Treatment that works on these diseases is distinct from mesothelioma treatment. Each type of cancer responds differently to drugs and requires surgeons with different specialties. Mesothelioma itself falls into two main categories — pleural and peritoneal — which usually involve varying treatment plans. A patient’s treatment options also depend on the cancer stage and cell type. Be suspicious of any website that talks vaguely about a “cure for cancer.” Even if researchers discover a cure for one type of cancer, nothing can cure all types of cancer. However, there are some cases where mesothelioma research overlaps with other research. Some lung cancer treatments, such as the immunotherapy drug pembrolizumab (Keytruda), show promise for pleural mesothelioma. Another example is the hyperthermic intraperitoneal chemotherapy (HIPEC) procedure, which is used on ovarian cancer and peritoneal mesothelioma. Let’s say you find a research article and confirm it is relevant to mesothelioma. The next question to ask is, “Were there any real patients involved?” Laboratory experiments are a great start, but they are not enough to prove a treatment really works. Or as a doctor might say, it’s a long way from the laboratory bench to the patient’s bedside. “In vitro” is Latin for “in glass.” It refers to an experiment conducted in a test tube, a petri dish or anywhere else outside of a living creature. Researchers often test drug compounds on mesothelioma cells grown in a lab. But even if a drug works in this setting, that does not mean it will work in a patient’s body. The drug might be too toxic for humans, or it might get broken down by the body before it ever reaches the cancer. “In vivo” is Latin for “in life.” It refers to an experiment conducted with a living creature — usually lab mice. You might come across the term “mouse model.” This means the researchers put mesothelioma cells into mice and then tested a treatment on them. Mice and humans are types of mammals, so our organs and tissues respond somewhat similarly to treatments. Testing treatments on mice is more useful than experimenting in a petri dish. However, there is no substitute for a clinical trial involving human patients. A clinical trial is a research study patients can volunteer for. Experimental treatments have to pass through certain phases before the U.S. Food and Drug Administration approves them. Phase I trials involve a small number of patients to make sure the treatment is safe. Phase II trials test the treatment on a larger group of patients to see if it works. Phase III trials compare a group of patients receiving the experimental treatment to a group receiving standard therapy. This is the only way to prove whether the new treatment actually improves health care. Nonscientists who summarize medical research articles sometimes misinterpret clinical trial data. Unfortunately, drug manufacturers also have a financial incentive to present trial results in a positive light. Knowing the following vocabulary words will help you keep statistics in context. Median: The number in the middle of the results. Overall Survival: How long patients live after treatment. A median overall survival of 20 months means about half of patients lived shorter than 20 months and about half lived longer. Progression-Free Survival: How long it took for tumors to grow back. Survival Rate: The percentage of patients who survived for a certain length of time. A one-year survival rate of 30 percent means 30 percent of patients were alive one year after treatment. Complications and Adverse Events: Treatment side effects. Researchers usually report what percentage of patients experienced severe problems or died because of treatment. Quality of Life: How patients feel. Sometimes a treatment can reduce patients’ symptoms even if it doesn’t extend their survival. Other times a treatment may help patients live longer without making them feel better. It’s a great thing when doctors can help mesothelioma patients live longer and feel better. Thanks to researchers’ hard work and patients’ participation in clinical trials, many people experience much better outcomes from mesothelioma treatment than they would have 20 years ago. But mesothelioma remains an aggressive and incurable disease. When you read about experimental treatments, focus on the facts. Always examine what kinds of patients are eligible and what risks are involved. And if a treatment increases median survival by a few months, that’s a measurable improvement, but it is not appropriate to call it a miracle cure. Medical research is difficult to read because it is meant for doctors. 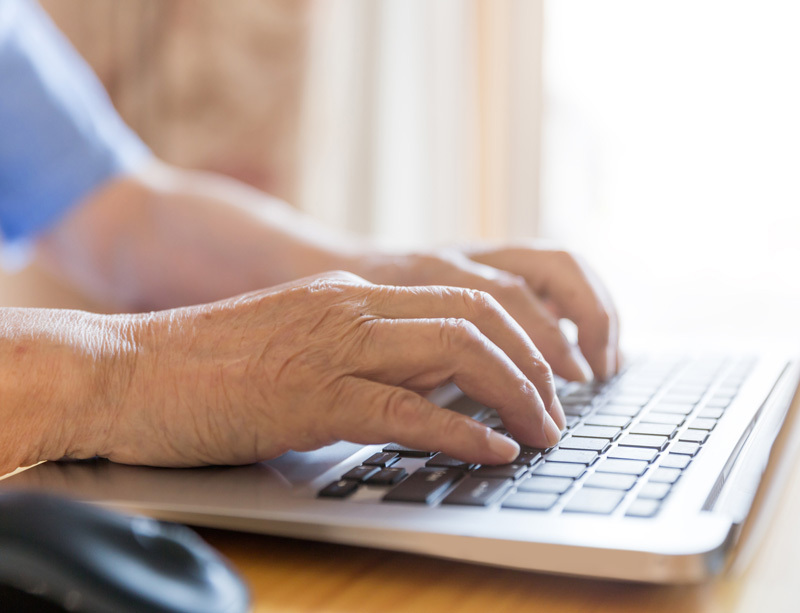 Researching on your own is good, but talking to an experienced mesothelioma specialist is essential. Respect the expertise of those conducting the research and treating the patients.